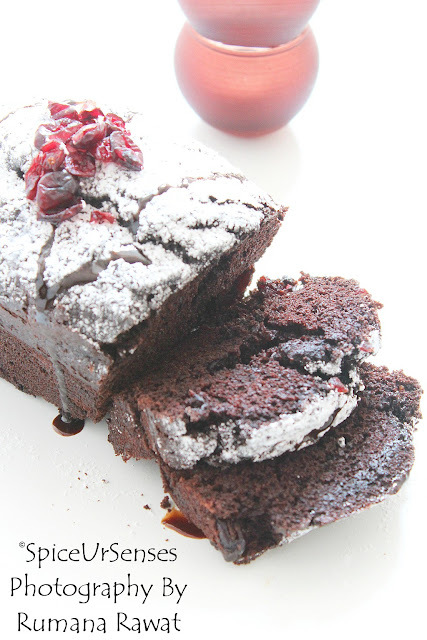 Cranberry And Chocolate Cake Loaf!! 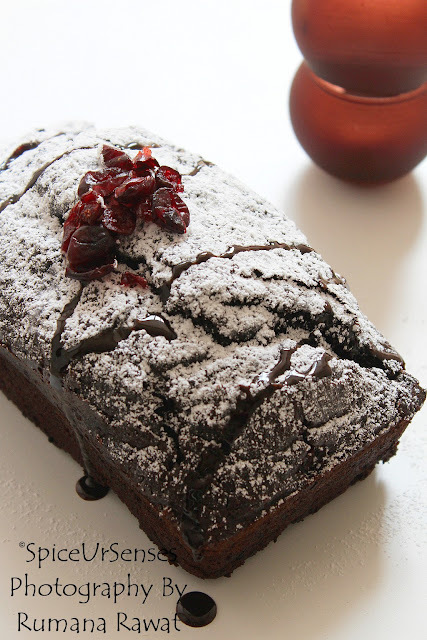 Cranberry And Chocolate Cake Loaf!! This is one my best cake, which I can make even closing my eyes and eat even in the mid night without think about the calories. This taste awesome with vanilla ice cream topped with some chopped salted peanuts..
Preheat oven to 180 degrees C. Butter the baking pan and keep it aside. Stir together the flour, baking powder, baking soda, cocoa powder, salt in a large bowl, set it aside. Beat the oil and sugar with an electric mixer in a large bowl for few minutes. The mixture should be noticeably lighter in color. Add the egg and blend for another minute or 2, add the vanilla essence and warm water and give a quick mix. Now add the dry ingredients and with the speed on low mix together and slowly add the butter milk and just mix everything to combine, making sure not to over mix. Then add the cranberry and mix everything well. Pour the batter into buttered pan and bake for 30 to 35minutes. Allow it cool before taking out from the pan. 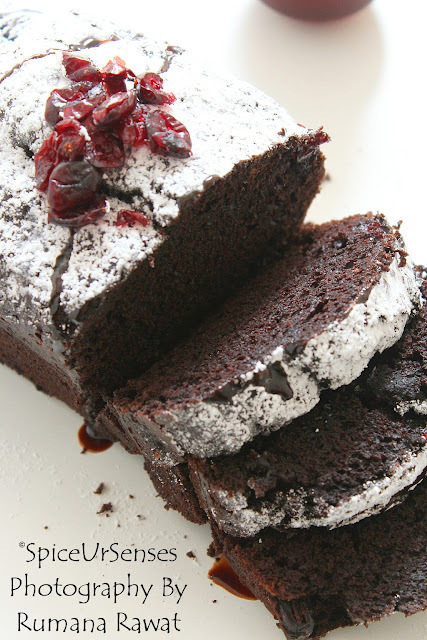 Then sprinkle the icing sugar on top and Then cut them into slices and serve with whipped cream or ice cream. That loaf looks beautiful and chocolaty! @Rafeeda AR Thank you dear.. I would love a slice for my morning tea now :-) It looks very inviting with the combo of chocolate and cranberry. I wish I could have shared with you..its My all time favourite combo..
@Faseela Noushad Thank you very much. @Veena TheagarajanThank you very much. 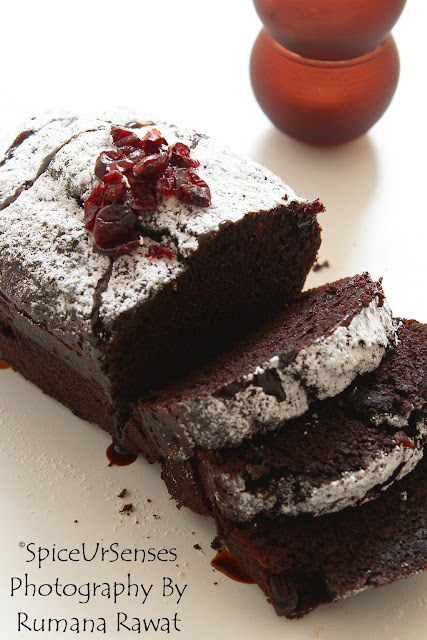 The loaf looks so chocolaty...delicious!